Five days of 1700 students uniting to show school spirit, while feuds among classes reign strong in an effort to emerge as the best year of the school. Shown through costumes throughout the week, winners among the famous Black Hawk games, and commitment to spirit even during school events, Homecoming Week kicks off the school year in an astounding display of enthusiasm. Scroll and click through the package to experience Homecoming Week in its different forms, updated throughout the week. The winners of the Sports day Hawkeye Twitter poll, senior Maryam Ahmed (left) and senior Tanya Bhardwaj (right). The first day of Homecoming Week was sports themed. Students roamed the halls decked in jerseys, t-shirts, and facepaint of their favorite team. 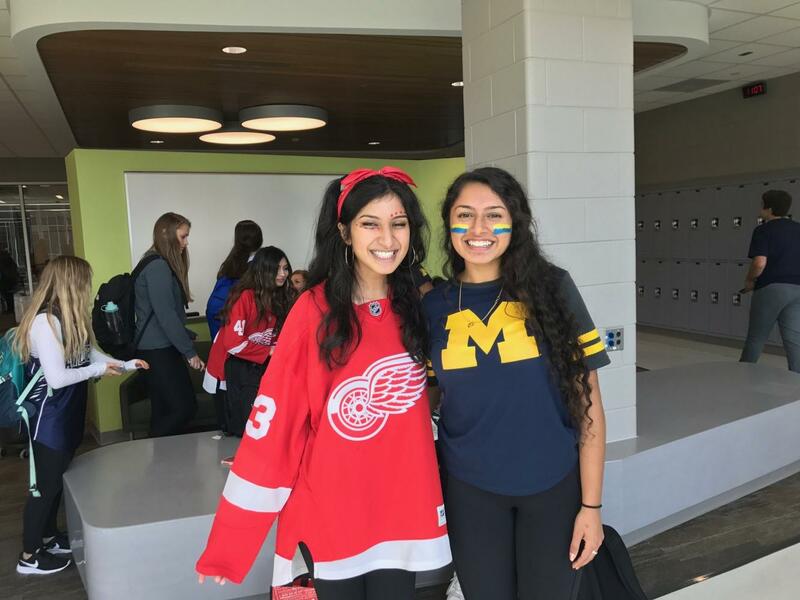 After students voted in the all-day Twitter poll run by the Hawkeye, seniors Maryam Ahmed and Tanya Bhardwaj were voted best dressed in their respective Red Wings and University of Michigan gear. Remember, tomorrow is Beach Day! Wear something cool to be featured on tomorrow’s poll! 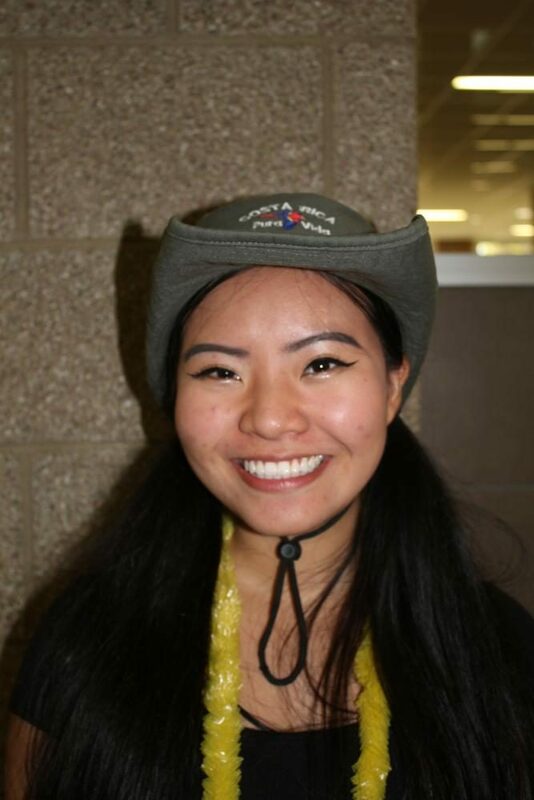 Simona Zhu, nominee for Homecoming Queen: Q: What do you get on top of your pizza? A: Mushroom and pepperoni. Q: Favorite T.V. show? A: How I Met Your Mother. Q: Describe yourself in 4 words. Nice, funny, smart, and happy. The Homecoming King and Queen nominees were announced at the end of the school day on September 11. The King and Queen are voted on by the student body and will be announced at the homecoming game on September 15. The nominees are Jiana Abdelnour, Caroline Allen, Habib Bello, Emilie Haji-sheikh, Christian Kassab, Eli McCourt, John Paddock, Rama Varansi, Imanni Wright, and Simona Zhu. Click through the photo gallery above for more information. An unexpected twist to the tropical theme, winner of the Hawkeye Twitter poll, sophomore Simon Abohasira. Tropical Tuesday was the theme for the second day of Homecoming Week, with students breaking out their Hawaiian shirts, sunglasses and sandals. 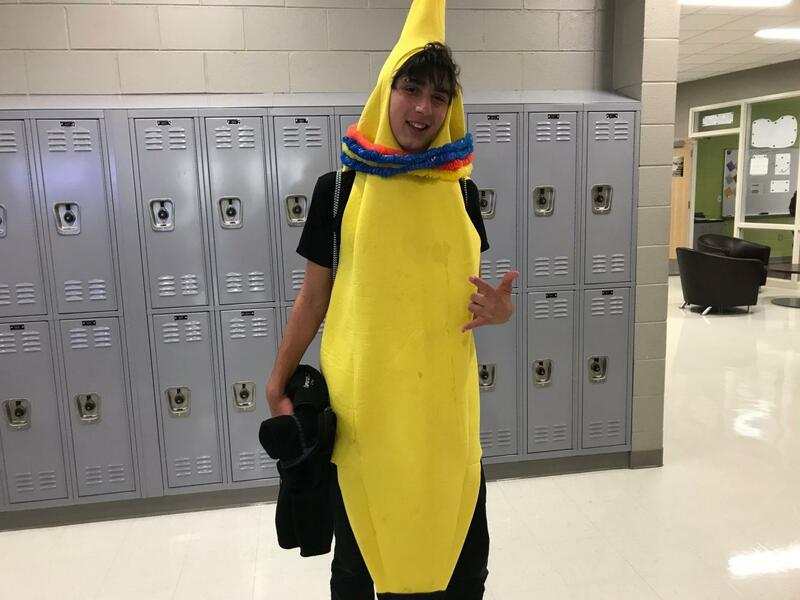 The winner of the Hawkeye’s daily Twitter poll for best tropical attire was sophomore Simon Abohasira, who wore a banana suit for the duration of the school day. Students also received their homecoming packages at the Main Commons during lunch, complete with a class shirt to sport on fourth day for the pep rally in the auditorium starting at 12:50 p.m. Remember, tomorrow is USA Day! Wear something cool to be featured on tomorrow’s poll! Senior Leah Louis-Ferdinand, winner of the Hawkeye Twitter poll for U.S.A Day. Remember, tomorrow is Class T-Shirt Day! Dress up your shirt the best to be on tomorrow's poll! The third day of Homecoming Week was U.S.A. Day for students to show off their red, white and blue. Clothing ranged from bandanas to political shirts to stars and striped leggings. With Picture Day coinciding with U.S.A. Day, students were faced with the decision of dressing in American colors or opting to wear other clothes for their photos. 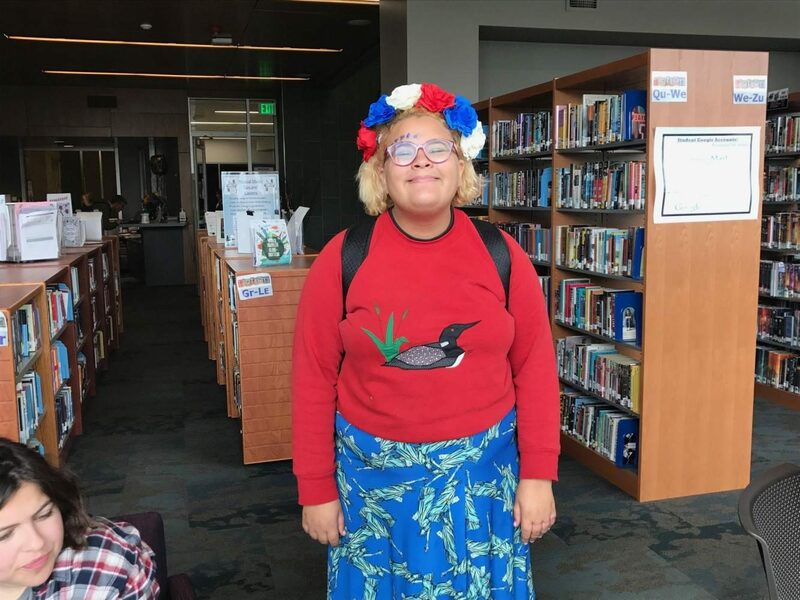 Some students found themselves changing their outfits for their pictures in order to dress up for both events, while others stuck with their patriotic fashion for the entire day. Senior Leah Louis-Ferdinand, who kept to her American colors throughout the school day, emerged as winner of the Hawkeye Twitter poll for patriotic garb. Thursday, the day of the Blackhawk Games, was themed Class Color Day. Each grade dressed depending on their grade’s theme, which were each different superheroes. Students embellished their costumes with the items from their spirit packages, including capes, masks and a variety of noisemakers. Others brought in items from home, such as pajama bottoms and tutus. The Hawkeye’s Twitter poll, unlike previous days, were based not on specific people. Instead, it asked which class showed the most class pride, and the Class of 2018 Seniors won. 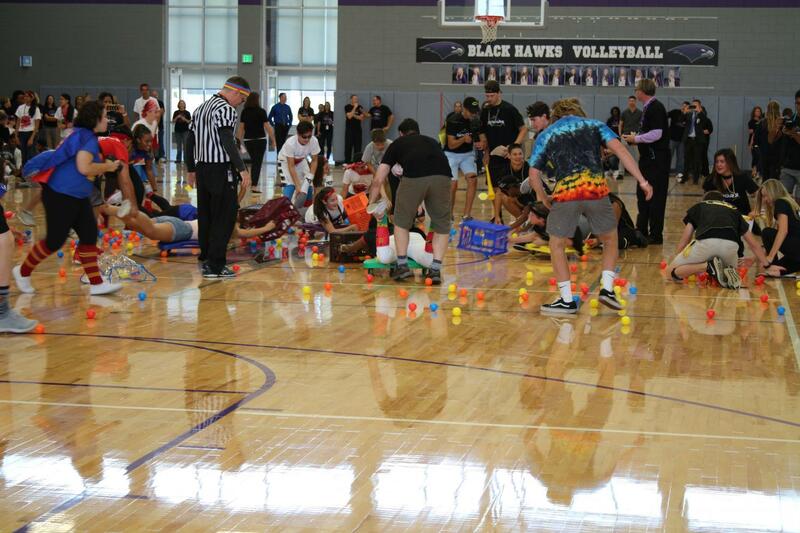 Freshmen, sophomores, juniors, and seniors compete in one of the many Black Hawks games, Human Hungry Hippos. The fourth day ended with the Blackhawk Games, where each grade competed in events such as Human Hungry Hungry Hippos, tug of war and a donut eating contest. The winning class was the Class of 2019 juniors, who won the women’s tug of war, dodgeball, and the donut eating contest. Crowds gather for the Homecoming football game, where Bloomfield Hills High School faced their opponents Rochester Adams High School. Kickoff is at 7:00 p.m. at the Bloomfield Hills High School football field and the theme is blackout. “Stroke, stroke, stroke, stroke!” The crowd sways from left to right, following movement of a dark swaying hammer. The hammer swings back and the audience rises to its feet in cheers. 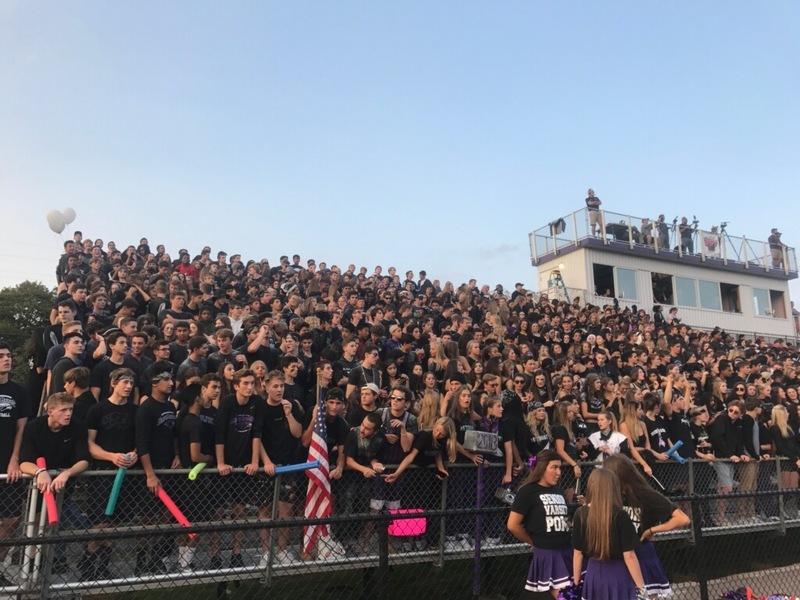 Bloomfield Hills High School has a new Hammer Authority team this year, and as a result of Homecoming week, members are enthusiastic to foster school spirit for the year. Senior Caroline Allen said of the group’s goal in these first few weeks of school, “Hammer authority is special to BHHS as a way to help instill school spirit in the student body. This homecoming [week] is a big deal for hammer authority to help generate a cohesive, fun attitude leading up to the homecoming football game and dance.” Hammer Authority is a team of seniors that leads cheers and chants at sports games and pep assemblies throughout the year. Allen added how the homecoming date influenced Hammer Authority’s approach. In addition to keeping the school spirit running on high throughout the year, each student on Hammer wants to bring their own special quality to the team. Hammer member and senior Tommy Paulson reflected on his experience with Hammer in high school and the nostalgia he felt. “There are so many students involved with making homecoming special for not only our current student body but for our supportive alumni community. Student Leadership, the band, Poms team, and cheerleaders play such an important role in helping to provide positive spirit for homecoming. I love being in the stands helping to promote school spirit any way I can,” said Allen. For a video on Hammer Authority moving the crowd, click on the linked video. Hi I’m a student in one of Ms Hammitt’s classes. I love how this article is structured with all the different days being sectioned off. Also the interactive picture links let the reader get inside what was happening throughout the school. More pictures from each day with different people would have been better because the pictures of each day are the same people but overall this article was a good informative with a hint of fun column. Hello I am from Ms. Hammitt’s class and I think that this is a great article for many reasons. I really like how you described every single day of spirit week, and had different people every single day. I also like how you talked about the athletics, and football, and how you interviewed the varsity quarterback about the game. Overall this article gives a great insight of spirit week and how fun it was.